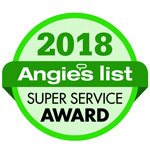 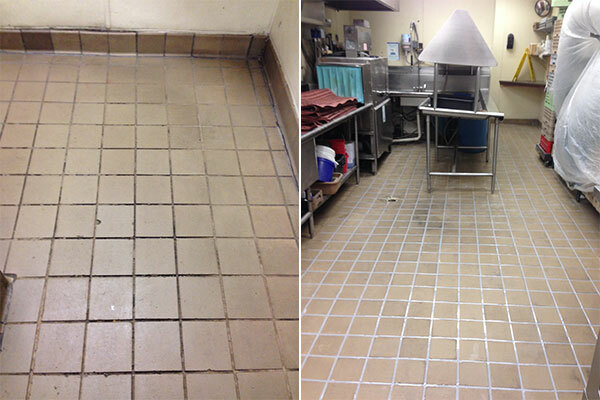 While The Grout Medic values every customer, large and small, we are by no means limited to servicing residential homes. 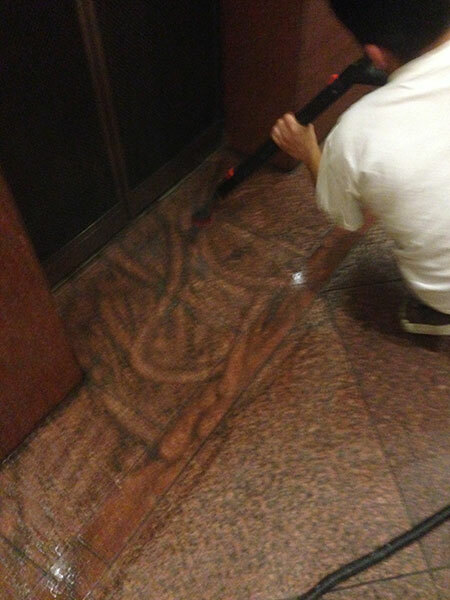 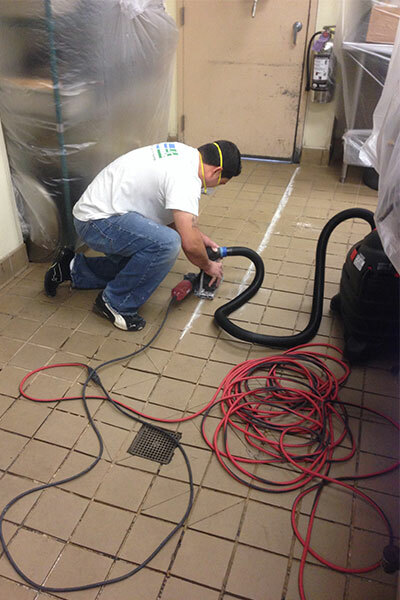 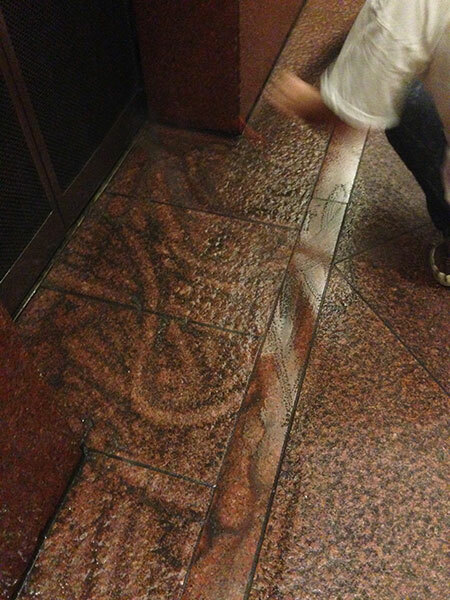 The Grout Medic has taken large-scale jobs to clean the tile and grout of large commercial buildings. 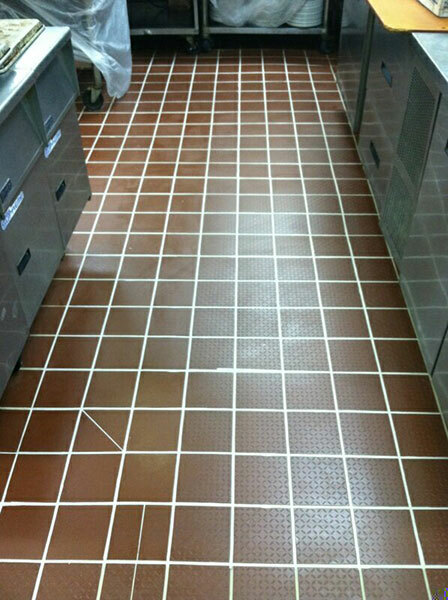 A portfolio of our commercial projects is shown below. 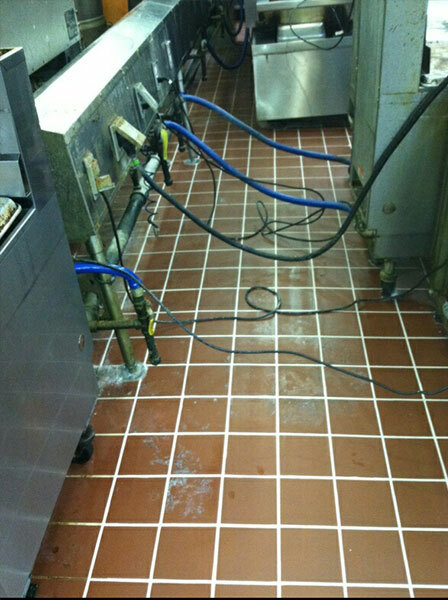 Removal of grout from kitchen cook line due to deterioration from grease, oliec acid and floor cleaner. 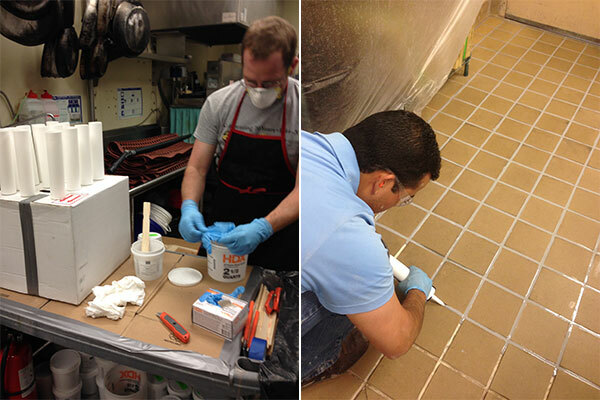 Installation of commercial-grade epoxy grout. 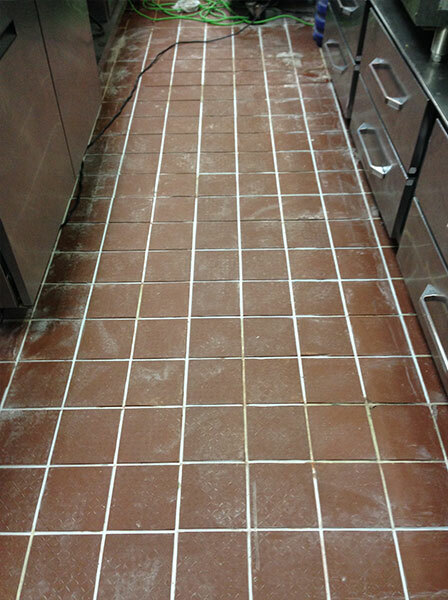 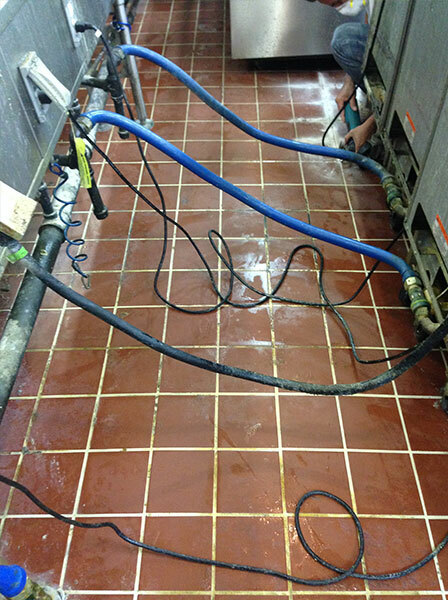 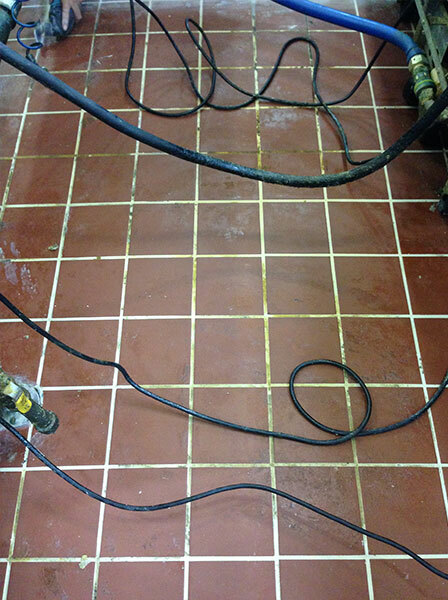 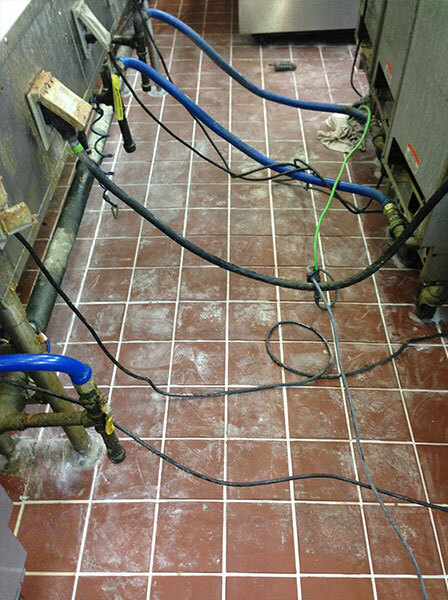 Grease and cleansers had eroded the grout lines in the cook line and washing station and de-laminated the tiles. 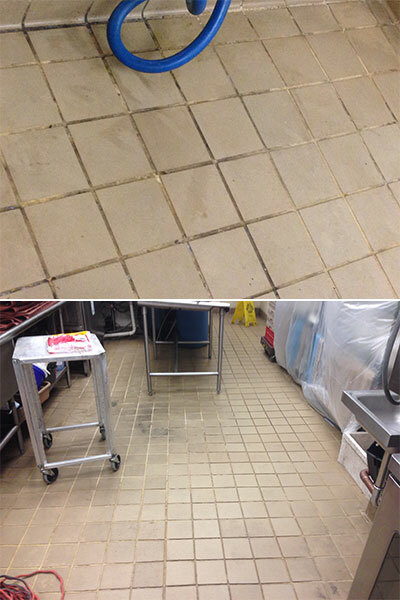 Removed deteriorated grout from shower floors, bathroom floors and jacuzzi tubs in both locker rooms. 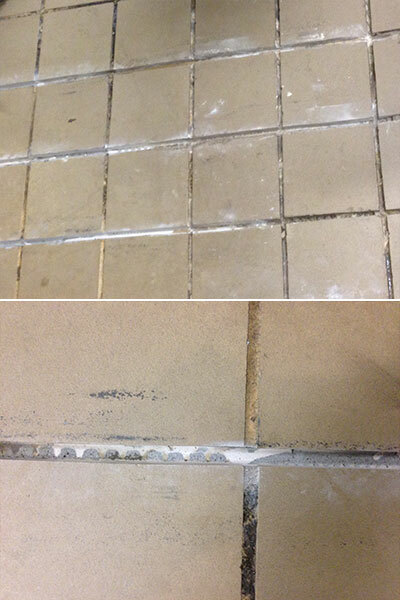 Removed deteriorated grout from steam showers and bathroom floors in men's and women's locker rooms. 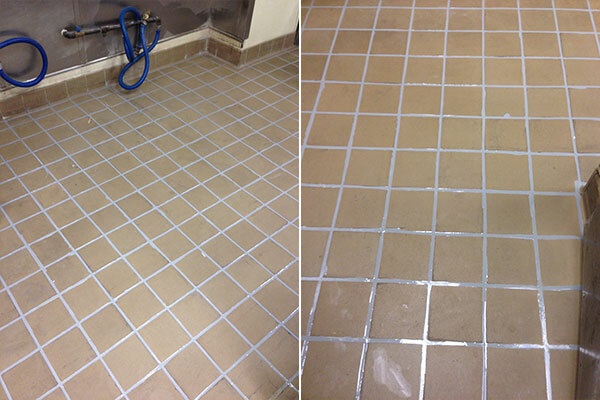 Removal of deteriorated grout from steam showers in men's and women's locker rooms.